Three years after that conversation, I cannot categorically say that my friend was right or wrong in his prediction. But the present instinct in the country explains two things; first, apart from the fact that the shout of integrity which hitherto rends the nation’s political space has like light faded, jeers have since overtaken the cheers of political performance while fears have displaced reason -resulting in an entirely separate set of consequences – irrational hatred and division. Adding context to this discourse, it is worthy of note that none of the current challenges (political or socioeconomic) bedeviling the nation started with this administration. For instance, corruption is but a human problem that has existed in some forms. Its fights also date back to Colonial governments as they (Colonial Overlords) sufficiently legislated against it in the first criminal code ordinance of 1916 (No15 of 1916) which elaborately made provisions prohibiting official bribery and corruption by persons in the public service and judiciary. Also at Independence on October 1, 1960, the criminal code against corruption and abuse of office in Nigeria were in section 98 to 116 and 404 of the code. But while the situation then may look ugly, what is going on now is even worse and frightening. 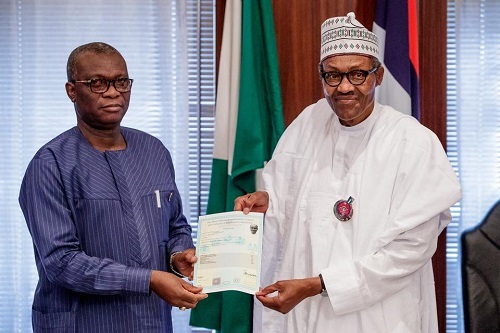 Apart from Mr. President’s ‘certification osculation’ from UCLES examination claim in 2014, which he averred was conducted by the Cambridge University to that of the WAEC ‘home delivery’ in 2018 despite their (WAEC) earlier position that they never conducted any examination in Northern Nigeria in 1961, the year Buhari claimed to have graduated- a conversation one may not waste words on as its been over flogged, Nigerians are not particularly happy that the President who rode to power by the favour of his fellow citizens and orchestrated ‘integrity’ cannot effectively tame corruption in the country but instead, had allowed it to take both nepotistic and supportive forms. 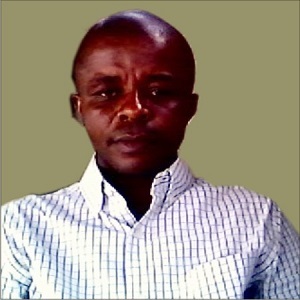 As we know and have observed lately, while nepotistic corruption involves unjustified and often unqualified appointment of friends or acquaintances to public offices in violations to the established norms (federal character), supportive corruption on its parts refers to actions undertaken to protect the existing or already done corrupt practices particularly when the person(s) involved belong to the same ruling party. Sadly, at a time the country’s economy is showing its inability to sustain any kind of meaningful growth that promotes the social welfare of the people, corruption becomes even more entrenched as scandal upon scandal has completely laid bare the anti-corruption stance of this administration and those who were initially deceived by the present government’s alleged fight against corruption have come to the conclusion that nothing has changed. This situation is made even worse when one remembers that the list of actions not taken by this administration to confront corruption, which has made Nigerians face actual and potential difficulties, remains lengthy and worrisome. Chiefly among these is Mr. President’s failure to objectively make the corruption fight a personal priority for him or those who report directly to him. Without any shadow of doubt, this has fittingly presented the President as one that started off with high moral standards, strong conviction and determination to beat down corruption but has neither lived up to that good intention nor dealt with all transgressors without exception. No wonder Chinua Achebe in his book ‘The Trouble With Nigeria‘ stated that Nigerians are corrupt because the system under which they live today makes corruption easy and profitable; they will cease to be corrupt when corruption is made difficult and inconvenient. The trouble with Nigeria is simply and squarely a failure of leadership and Nigeria can change today if it discovers leaders who have the will, the ability, and the vision. Thinking about all these in relation to the prevailing harsh economic situation in the country, a state of depression (or is it a recession), the countdown to the next general elections in Nigeria appears to be comical, yet laced with trepidation as those who voted last time out will want to activate their dreams in another call for ‘change’; this time for the better after four years of unfulfilled ‘change’. And one thing I certainly know is that it will be rewarding moves if Nigerians can, come 2019, enthrone upright personalities as leaders; those with vision who can create a climate where the truth is heard and brutal forces are confronted. Nigerians obviously need to take this step as we have previously seen some of our elected officers become the reality to worry about as they became visibly determined to work across purpose with us while some of them are consumed by the vertical pursuit of self-aggrandizement. Allowing this present trend and expecting a different result is tantamount to insanity. Therefore, for us, as a people to break out from this vicious circle of worries and poverty, the time to cause a real change is now. Most importantly, for Mr. President to pacify and unify Nigerians and maintain his integrity while keeping his administration, a point he must not forget is that like everything in nature, he had just come to power and lacks strong roots and ramifications, he must therefore work hard to uphold what fortune has suddenly tossed on its lap by providing Nigerians with a people-purposed leadership.